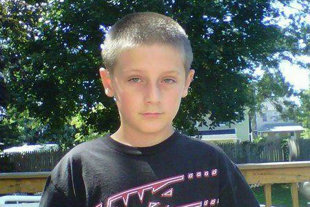 In a tragic turn of event the 12-year-old boy who ended in coma due to bullying died just one day after he turned 12. He died this Sunday at a Philadelphia hospital after he was taken off life support. His family has confirmed this. Bailey O’Neill, who turned 12 on Saturday, had been in a medically-induced coma since January, when he was allegedly beaten by two classmates on the playground during recess at his school. The sixth-grader sustained a concussion and broken nose, and suffered subsequent seizures, forcing doctors to induce the coma. According to NBC’s Philadelphia affiliate, the students who allegedly attacked Bailey were suspended from Darby Township School, but criminal charges have yet to be filed. Police investigators are trying to determine whether the seizures were caused by injuries stemming from the Jan. 10 incident. Delaware County District Attorney Jack Whelan said the investigation is ongoing. At least now this boy can rest in peace.